UN special rapporteur on the promotion of truth, justice, reparation and guarantees of non-recurrence, Pablo de Greiff, recently expressed his strong disappointment at the failure of the government to implement the commitments it made more than two years ago in Geneva to the UN Human Rights Council. On that momentous occasion in October 2015 the government succeeded in reversing the deterioration in relations between Sri Lanka and the international community which had been threatening to isolate, and economically further undermine, the previous government headed by former President Mahinda Rajapaksa. There was a looming threat of further international sanctions to follow upon the European Union’s withdrawal of the GSP Plus tariff concession that had led to the closure of large numbers of garment factories which led to a severe blow to the national economy. At the UN Human Rights Council in October 2015 the government pledged to set up four new institutions that would promote transitional justice in the country. Specifically, the government committed itself to establishing in a two-year period (which lapsed in March of this year) mechanisms in four different areas including, truth, justice, reparations and guarantees of non-recurrence. Transitional justice is the process of transformation that the UN system has sanctioned for countries that are transiting from situations of war, authoritarian rule or largescale violations of human rights, or all of them, to more democratic and human rights-respecting ways of governance. The transitional justice process is not something that is recommended only for Sri Lanka in particular but for any and all countries that have found themselves in the unfortunate situation that Sri Lanka found itself. In his strongly worded report, the UN Special Rapporteur bemoaned the fact that “the process is nowhere close to where it should have been more than two years later. These expectations were not merely those of the international community but of the government of Sri Lanka and of Sri Lankans generally.” Justifying the strictures he passed on the government is the observation that the government had yet to implement even one of the four mechanisms it promised in Geneva. These four mechanisms include a truth commission to ascertain the truth of what actually happened during the course of the war. This one takes on particular relevance in view of the controversy that has reopened about the number of casualties in the closing stages of the war. British Lord Naseby has said that the figure of 40,000 generally mentioned by the international community is excessive. The issue of what happened during the final stages of the war has been controversial and murky. The ICRC and other independent actors were asked by the then government to leave the final battlegrounds for their own safety. This led to various speculations about what actually happened, including the death toll, with claims that it ranges from about 7000 to more than 100,000. The figure, which Lord Naseby has sought, will be one among many such figures. Ascertaining the correct figure will be one of the primary tasks of the Truth Commission that the UNHRC resolution calls for, and which the government has promised to implement. There is a need for a figure that is arrived at through a process that is acceptable to all sides. Similarly, in Geneva in October 2015, the government promised to establish an Office of Missing Persons to find out what happened to the large numbers that went missing during the war. There is already documented evidence of about 20,000 missing persons during the course of the entire conflict, and not only its last phase, and this figure is with various government commissions of inquiry set up on previous occasions, but little has been done to find out more about them. The government has passed legislation to establish this mechanism, and also called for applications for commissioners. So far this is the only transitional justice mechanism about which anything concrete has been done. The government has yet to do anything concrete with regard to the Office of Reparations to compensate the hundreds of thousands who lost their properties and loved ones, and finally a special court to investigate the many allegations of war crimes. International community as alleged by the opposition. It is notable that in the runup to the local government election, the Joint Opposition is narrowing its campaign down to the issue of betrayal of the country. Overzealous members of the opposition appear to be running amok on this emotive issue even calling for the execution by hanging of those who call for war crimes accountability and the bombing of parliament if the government’s constitutional reforms strengthen the devolution of power to the Tamil and Muslim majority parts of the country. 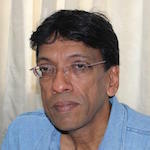 In these fraught circumstances it would be helpful if international expertise on the transitional justice process is brought to bear on the special circumstances in Sri Lanka, even as the UN system and international human rights organisations continue to put pressure on the government to deliver on its commitments. The difficulty for the government is that it has to engage in a transitional justice process for which there is currently little or no support from the ethnic majority population. It will also be an uphill task to convince the ethnic majority population in the need, and legitimacy of a process that could lead to the punishment of the political and military leaderships that defeated the LTTE on the military battlefield. So long as Sri Lanka is a democracy, any government will need to obtain ethnic majority support in order to win elections, remain in power and implement its plans. There is a need to be realistic in assessing what any Sri Lankan government can and cannot do. It would be like convincing the majority of American and British people through an education process that the political leaderships and pilots who conducted the “thousand bomber raids” of German cities and the atomic bombing of Japanese cities during the closing stages of World War 2 are not war heroes but should be condemned for what they did. So far in the world it appears that the only successful nationally driven transitional justice process in which accountability and punishment were at the centre has been where either the victim population was a majority (South Africa) or where the ethnic minority won (Rwanda) or where military dictatorships were overthrown (South America). Realism suggests that the textbook approach will not work and will either lead to the downfall of the government or will lead to a box-ticking exercise that the UN High Commissioner for Human Rights Zeid Ra’ad Al Hussein warned against when he said in September this year that “This should not be viewed by the Government as a box-ticking exercise to placate the Council, but as an essential undertaking to address the rights of all its people.” The key to a more viable approach would be found in one of the UN special rapporteur’s observations that there is no one-size-fits-all solution to transitional justice. A nationally driven truth commission that would educate the Sri Lankan people about what happened during the war with a view to binding up the nation’s wounds in the spirit of post-civil war United States under its great president Abraham Lincoln coupled with an internationally supported programme of reparations to those who lost in the war, on all sides, may be the Sri Lankan path to a shared future that would leave behind our divided past.